The Argentinian Society of Legal Odontology (S.A.D.O.L.) was founded in year 1977 in the city of Rosario, province of Santa Fe, Argentina. Its first president was a physician called Oscar Sanchez and his secretary the odontologist called Héctor Ceppi. Due to the political situation of the country at that time, SADOL stop developing. In 1995 however, Odontologist School of Tucuman´s State University presented the first specialist course approved by The National Commission of The Evaluation and Certification Universities, awarding “The Legal Expert Odontologist” degree, the first in South America. Rosario’s Odontology State University followed. In the year 2001 Health State Ministry recognized Legal Odontology as a specialty and published this in the Official Bulletin of November 2001. Ceppi therefore started the legacy and today SADOL is a successful society with members all around Argentina having annual meetings scheduled since 2005. Our sixth meeting was in Buenos Aires in may 2010 at which time we will also paid tribute to Elida N. Briñón, a pioneer of Legal Odontology in Argentina. She has been an expert in the courts of Buenos Aires for many years. 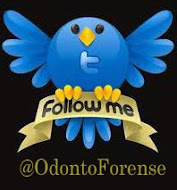 She has published two books, the first in 1983 entitled ¨Legal Odontology and Forensic Practice¨ and its final publication in the year 2006 ¨Iatrogenic and injuries in Legal Odontology¨. Countries represented at the Buenos Aires meeting constituted Argentina, Bolivia, Brazil, Paraguay, Peru and Uruguay. At our meeting of May 2009 the Managerial Commission of SADOL for 2009 – 2011 was constituted. The members are: Carlos Marcelo Gonzalez (President), Roberto Rivarola (Vice-President), Judith Prado Pagniez (Secretary), Oscar Heit (Treasurer) and Marcelo Luzi (Minutes Secretary and Interinstitutional Relantionships) The Forensic Odontologists Association of South America (A.O.F.S.) was recently created and consists of: Carlos Marcelo Gonzalez (Argentina) (President); Rosario Rovira Gómez (Bolivia) (Secretary); Celia Mármol (Paraguay)(Treasurer); Ana María Carlos Erazo (Perú) (First Vocal); Rhonan Ferreira da Silva (Brazil) (Second Vocal);– Alicia Picapedra (Uruguay) (First Accounting Manager) and Manuel Maurelia (Chile) (Second Accounting Manager). AOFS will have its first meeting during the 8th International Congress of Odontologist of Paraguay, 9-11 September 2010 in Asuncion, the Capital of Paraguay’s Republic. The main aim of this meeting will be the creation of a DVI team for South America. Cordial regards to all members and authorities of IOFOS! Photo taken during the Sixth Meeting of the Argentinian Society of Legal Odontology, in Buenos Aires. From the left Drs. Marta Maldonado (Argentina), Juan Carlos Zarate Rodríguez (Paraguay), Mauro Machado do Prado (Brazil), Rhonan Ferreira da Silva (Brazil), Elida Briñón (Argentina), Carlos Marcelo González (Argentina), Oscar Heit (Argentina), Alicia Picapedra (Uruguay), Judith Prado Pagniez (Argentina) and Elisandro García (Argentina).